On Labour Day weekend, celebrate the work of real-life Rosie the Riveters at the International Museum of World War II in Natick, Massachusetts, in the exhibition Women in WWII: on the Home Fronts and the Battlefronts (until 29 December). The show, which also looks at women’s wartime roles in Germany, Japan, the UK and the Soviet Union—was inspired by the memories of the museum’s founder and director, Kenneth Rendell, whose mother worked as a nurse in the 1940s and 50s. “When I started collecting World War II [artefacts], I was equally interested in the role of women,” Rendell says. Around 100 objects are in the show, such as uniforms, propaganda posters, photographs and letters, and all come from the museum’s holdings. The exhibition includes a series of Ansel Adams photographs from 1942, never before shown, of the Massachusetts Women’s Defence Corps. The US government commissioned the works depicting the training of corps members, whose missions included air-raid protection services. 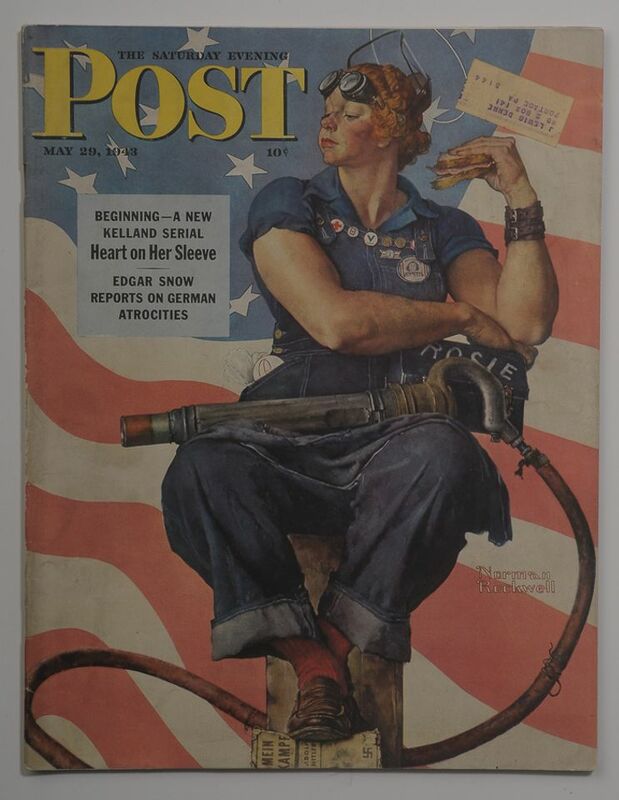 A May 1943 Saturday Evening Post cover with Norman Rockwell’s painting of a brawny Rosie the Riveter—far more famous during the war than the now-ubiquitous “We Can Do It!” depiction— is also on view; while “not as gorgeous”, Rendell says, “she’s pretty tough”.